Since the industrial revolution of the mid-1800s, processes and technologies across every sector of the modern economy have developed at a rapid pace. From the Bessemer Method of processing steel to the production of mechanized tools, this era in American history set the pace for the rapid growth of industry and technology through the 21th century. And as the means to produce became more efficient, demand for those products increased — and as demand grew, the methods by which those items were produced advanced further. Mining is no exception. The steam engine revolutionized both the digging of new mines and the transportation of product from the mines. Every step of the process — exploration, discovery, extraction, processing, and distribution — has been made far more efficient and safer by inventions such as steam-powered mine hoists, mechanical ventilating devices, shaft excavation systems, and cementation. The industrial revolution was no doubt a catalyst for the development of these inventions, and now the tech revolution is aiming to take a similar hold on the mining industry. With global demand for an array of natural resources only increasing, mining companies must work both smarter and harder to unearth and distribute these commodities around the world. As a result, the future of mining lies within the technology of automation. One such technology, automated vehicles are currently being developed and utilized for a wide variety of functions. Companies such as Google, Kia, and Volvo have all either developed or are developing automated transportation for consumers. In 2015, the world’s first self-driven semi-truck was put on the road by Daimler, which owns Mercedes-Benz. Driverless mine trucks operate above ground at many operations, especially in Australia, and are powered by GPS technology. Researchers in Queensland, Australia, are currently looking to take the automated car underground. According to Dr. Thierry Peynot, a developer on the project, the largest obstacles standing in the way of such technology are the extreme conditions of the mine combined with the task of navigating dark, winding tunnels. He hopes to overcome these problems with camera-based positioning systems and additional multi-sensor systems for accurate positioning. "The vision technology is going to be the core of that project [and] it is looking at recognizing places that [the vehicle] has been before," Dr. Peynot said. And there’s plenty of reason to be excited about that: driverless underground vehicles will go a long way in making mines more cost-effective, efficient, and safer than ever before. The principles of sensor-based ore sorting were first developed in the 1920s, and the use of such technology greatly increases the efficiency of separating valuable minerals from waste rock. The first sensor-based sorting machine was introduced in 1972 at the Doornfontein mine. However, as Dr. Hermann Wotruba said at the European Mineral Resource Conference in 2012, while such sorting technology was widely used at the time to sort glass, plastics, paper, and cardboard, the technology had not yet been widely adopted for raw minerals and materials. 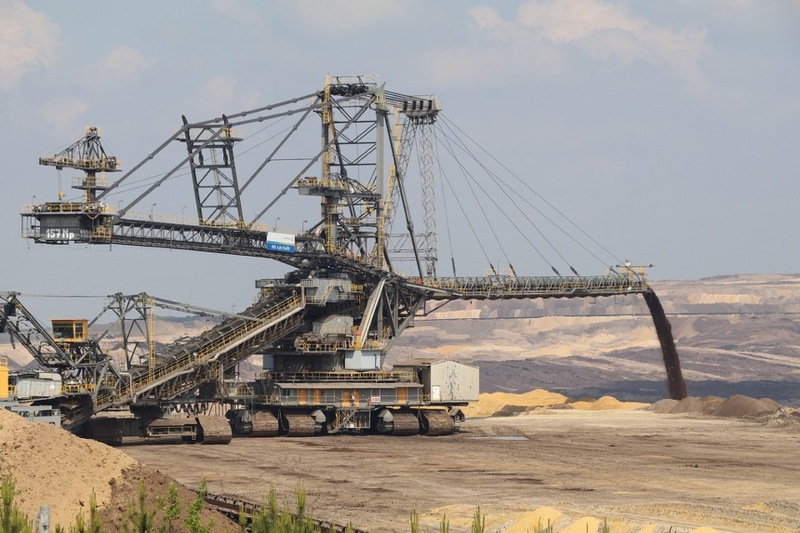 Over the 80-year history of sensor-based ore sorting, there have been several types of sorting equipment developed: channel-type, bucket-wheel type, and cone-type. The most popular today, however, are chute-type and belt-type. The most prevalent technologies being used in these systems are electromagnetics (EM) and X-ray Transmission (XRT). In both of these systems, particles are fed through a machine where they’re scanned, and then valuable minerals are separated and sorted using pneumatic, mechanical, or hydraulic means. This automated technology is faster and more efficient than its manual counterpart, as sensor-based sorting systems boast the ability to sort through 200 tons of particles per hour per machine. An adoption of these technologies in the mineral mining industry at large would be nothing short of revolutionary. Tech companies such as Cisco are looking to spearhead the foray into digital data analysis in mining. From exploration to delivery to everything in between, the digitization of mining will streamline the all processes while making the industry safer than ever. Specifically, Barrick Gold is partnering with Cisco to reinvent themselves as a more digitally-efficient mining company. Advanced sensing technology and real-time operational data will assist in a faster decision-making process and allow the company to be more transparent with its local partners, while predictive algorithms will enhance the precision and accuracy of future projects. The use of data analysis is expected to be a time- and money-saver for Barrick, reducing operational costs from $800 per ounce of gold to less than $700. If mining companies around the world want to continue to meet the growing global demand for their product, they must embrace automation sooner rather than later. The result will be a more profitable, efficient, and safer industry. Marc Poirier is Midwest Industrial Supply’s Engineering Technology Manager for the Mining group. His primary focus is Mining & Industrial Solutions.